Need a Minicab or Taxi to London City Airport? Simply use our quick and easy Instant Quote Finder and see how much you can save on your London City Airport Transfer Taxi. When booking a taxi with us or anyone else always make sure that you leave enough time for the journey. Our superior booking engine provides you with an approximate calculated travel time, use it as a guide and remember airlines ask you to check in approximately 2 hours prior to the flight departure. 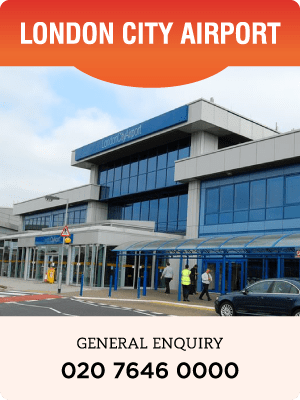 London City Airport is always expanding, so it's useful to check back and make sure you've got the most up to date information all you need for a pleasant and stress free journey.